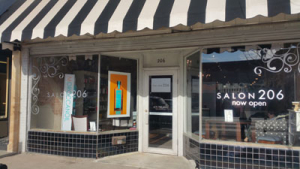 Salon 206 is a full service salon, specializing in all your hair, nail, and spa needs. 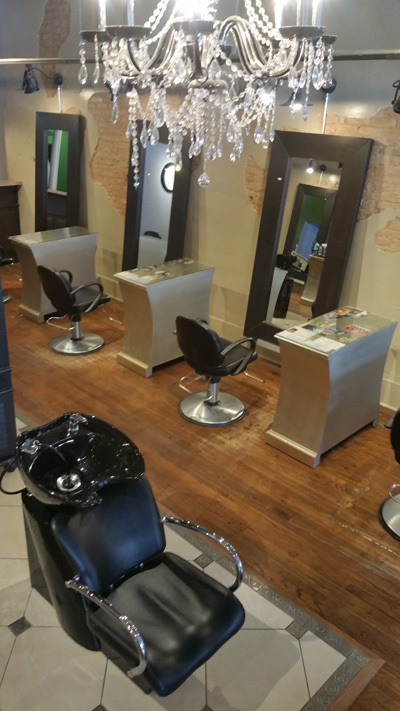 All haircuts include a consultation, shampoo, haircut, and blow dry & style. All of our professionally trained stylist are here to give the best look for your lifestyle. Salon 206 has Defiance’s most talented Nail Techs! We offer all your nail needs from Shellac Polish, Acrylic Pink and White, Regular Acrylic Nails, Gelish Nails, Nail Design and Pedicures. Define your brows. Get rid of that unwanted hair! Lip hair, leg hair, nose hair, chin hair, armpit hair? We will help you out! We love taking care of that Bride on her BIG day! Bring in your bridal party so we can give you the look you want for all those wedding pictures! Don’t forget the make-up too! We offer airbrushing for that flawless look. We specialize in the best on-trend precision haircutting, styles and hair extensions, as well as outstanding hair color services. We offer the latest hair painting techniques in Balayage, Ombre and Highlights. In addition to our top hair salon services, we offer nail and pedicure services, waxing, eyelash extensions, microblading and massage. This revolutionary smoothing treatment infuses Keratin deep into the hair cuticle to eliminate frizz and reduce curl. Keratin Complex smoothing treatments leave hair soft, shiny and smooth. After the treatment, hair is more manageable and easier to maintain which helps to reduce daily styling time. Choose from treatments that last from 4-6 weeks or 3 months. Keratin smoothing treatment is only available with select Stylists. Offering multiple options in the best quality hair extensions. All our extensions are 100% Remy Human Hair. 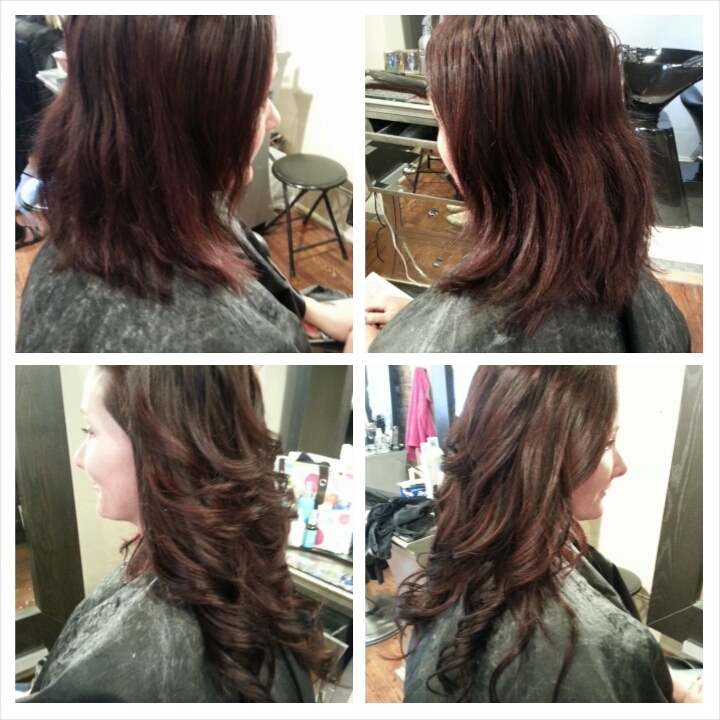 We offer Tape-In extensions, I-link beaded extensions and HaloCouture extensions. Extensions only available with select Stylists. Consult required. At Salon 206, we know how the right shade can transform your look and bring out your natural glow. We offer expert hair coloring services by our professional staff that will achieve amazing color, vibrancy, condition, and shine. The health and integrity of your hair is of the utmost importance to us, and we only use top of the line color formulas for our coloring services. Make an appointment today! Massage offers a drug free, non-invasive and humanistic approach based on the body’s natural ability to heal itself, increases circulation, allowing body to pump more oxygen and nutrients into tissues and vital organs. Stimulates the flow of lymph, the body’s natural defense system, against toxic invaders, strengthens the immune system. Increased circulation of blood and lymph systems, improves the condition of the body’s largest organ. The skin relaxes and softens injured and overused muscles, releases endorphins the body’s natural pain killer, is used in chronic illness, injury and recovery from surgery to control and relieve pain less stress and improved performance. Reduces spasms & cramping, increases joint flexibility, improves range of motion, relieves pain for migraine sufferers and decreases the need for medication. These our just some of the benefits. Let’s face it, bad hair days blow. Thankfully Blowout is here to end them, forever! Blowout is all about great blowout style. Our Stylists are masters of the round brush, queens of the blow dryer – and their mission is to leave you feeling like you’re ready to hit the red carpet at a Hollywood premiere. Tap into your inner hottie and face the world head on! We know life isn’t just about the occasional gala event, so come in before a coffee date, a work meeting, or just to start your week off right. Salon 206, in Downtown Defiance, is a full service salon offering all your hair care needs, such as, Advanced Haircutting Techniques, Specialty Color Techniques, Hair Extensions, Keratin Smoothing Treatments, Permanent waves, Conditioning treatments, Special Event Styles. Call today for your appointment (419)-782-4600.